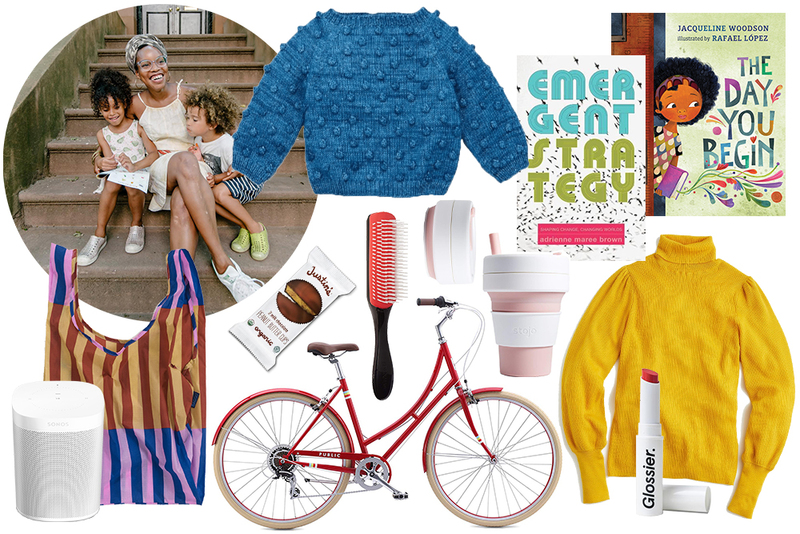 This week’s Mother Essentials roundup comes from Instagram favorite and Brooklyn-based mama of two LaTonya Yvette. 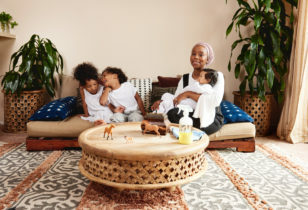 Since it’s been well over a year since our profile of LaTonya and her kiddos—River, 7, and Oak, 4—plus with her debut book, Woman of Color, on the horizon (the release date is 2019, but pre-orders just went live! ), we felt it was the perfect time to catch up with the multi-talented creative on her current set of must-haves. Peep ’em below! Sonos PLAY:1 Compact Wireless Smart Speaker for Streaming Music, $149, Amazon. Baggu Reusable Bag, $10, Baggu. Justin’s Milk Chocolate Peanut Butter Cups (Pack of 6), $14.98, Amazon. PUBLIC Bikes V7 Comfort 7-Speed City Bike, $549, Amazon. Denman Cushion Brush With Nylon Bristles, $10.88, Amazon. Stojo S2-ROS Collapsible Silicone Cup, $19.99, Amazon. Misha + Puff Cobalt Popcorn Sweater, $168, Acorn Shop. Emergent Strategy: Shaping Change, Changing Worlds, $10.87, Amazon. The Day You Begin, $11.39, Amazon. Balloon-Sleeve Turtleneck Sweater, $98, J.Crew. Generation G Sheer Matte Lipstick, $18, Glossier. For more on LaTonya, check out her 2017 Mother profile. 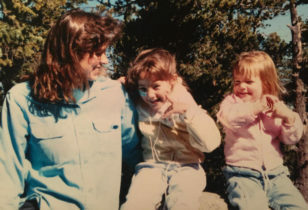 And for more Mother Essentials, peep our past columns with Morgan Walker of Make.do, Jeanne Chan of Harlow & Grey, Bekah Stewart of A Well Traveled Woman, Joy Cho of Oh Joy!, Erin Boyle of Reading My Tea Leaves, and an entrepreneur mom mash-up featuring Mara Hoffman, Jeni Britton Bauer, Justina Blakeney, A-lan Holt, Bee Shapiro, and Dominica Rice-Cisneros.